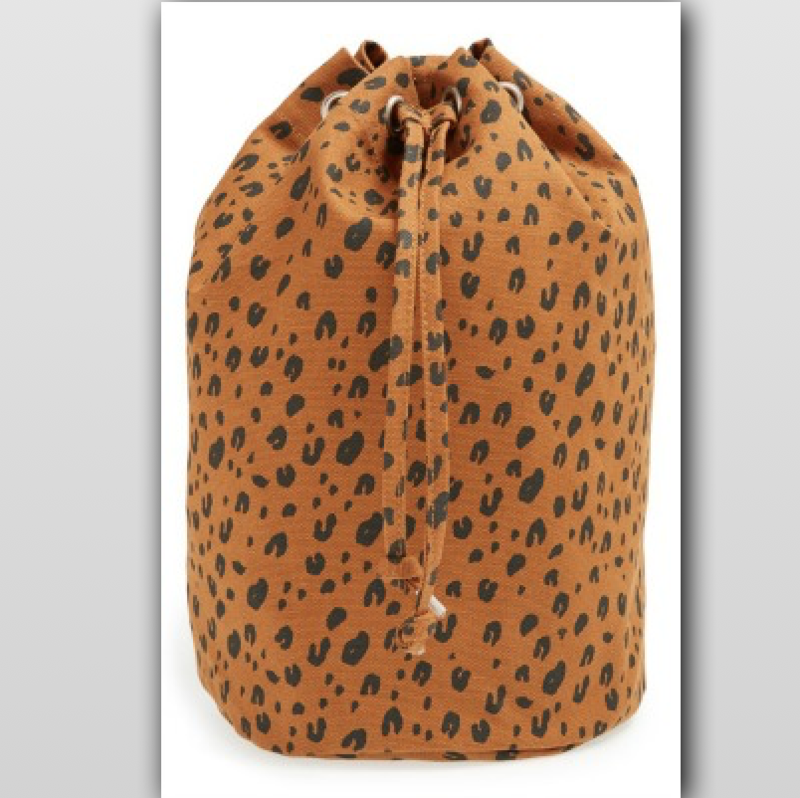 This recycled Leopard animal print-canvas tote features a sling strap perfect for carrying over your shoulder and an easy drawstring closure. Lightweight and packable, this bag is ideal for trips to the gym, day hikes and more. 9″W x 14 ½”H x 9″D.